Whilst most of us understand the power of social media for finding jobs, there are still many whose LinkedIn profiles lie neglected. 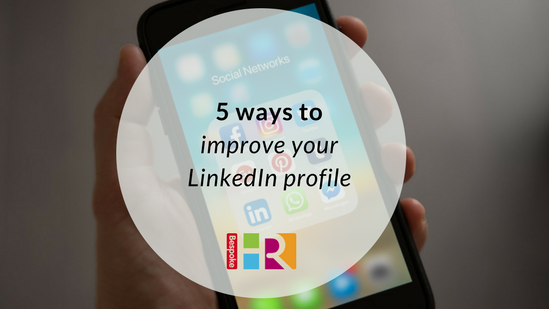 LinkedIn is one of the most powerful tools for recruiters to use, not only to head-hunt, but to check out potential candidates – so it’s essential to have an all-star profile. What’s more, in the past year LinkedIn has made several changes so that users can do more, and get more from their profiles. Always use a professional photo, and not a holiday snap or a picture with your children. LinkedIn is a professional space, and content and images should reflect this. LinkedIn advises that your face takes up 60% of the picture, so no long distance or group shots. It also now allows you to crop and edit your picture with filters so it’s worth spending a bit of time getting it just right. LinkedIn has a great guide if you’re unsure of how to do this. This is the banner image which runs across the top of your profile. Including the right image can really help to make a profile stand out. It’s down to personal preference, but make sure it’s professional. You can also create your own using templates from sites like Canva.com. More users are now taking the opportunity to use the headline as another way of selling themselves. In the past this would have simply been your current job title, but many LinkedIn ‘experts’ are advising you go one step further – for example using headlines such as ‘marketing professional helping businesses become more profitable’ or ‘Comms expert helping SMEs win at PR’. There are no hard and fast rules and it may be worth looking at what influencers in your industry are doing. A succinct summary of your background and aspirations gives any potential recruiters an overview in a just a few seconds. Think of it as your own personal ‘elevator pitch’. Make sure this is up to date, and fill in any gaps – including career breaks. If you took time off for maternity leave or a career break, then specify – it’s far better for a recruiter to see that than account for holes in your timeline. If any of the companies you have worked for are on LinkedIn then link to them; this will ensure their logo appears next to the role and gives a more professional overview. Many people overlook the skills section, but it’s straightforward and simple to fill in so is worth doing. However, take care not to tick off everything and end up with a lengthy list – just stick to the ones that are relevant to you and ask colleagues and peers to endorse them. Personal recommendations which sit at the bottom of your profile complete your page, and give you kudos. You can approach colleagues directly within LinkedIn to ask for a recommendation, and offer to give some in return too. These also show up on your profile and will give recruiters an idea about what sort of team player you are. The more you use LinkedIn, the more your profile will be seen by others. Start commenting and sharing content where appropriate. You can also publish your own posts if you have an opinion piece on a topic. Join groups of relevance to your industry and get involved in the conversations, this will push your profile up in search results and give you wider exposure.